NBC is thankful this week for an “NCIS” rerun and no “Dancing With the Stars” season finale. The No. 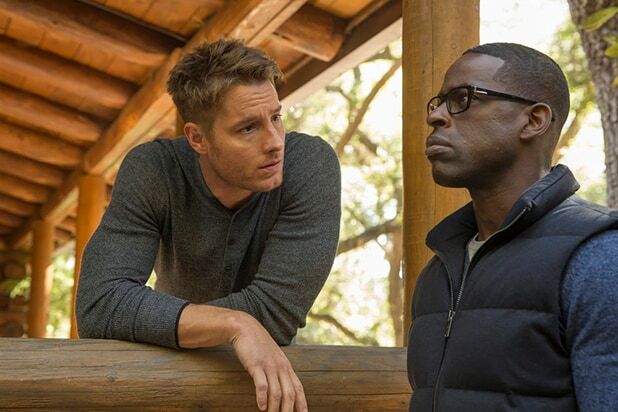 1 network’s “This Is Us” broke its own viewership record last night at 9 p.m., landing 10.6 million overall audience members. At 8, CW’s “The Flash” scored its most eyeballs (4.1 million) in two years, thanks to its Tuesday turn as part of this week’s DC Comics mega-crossover. That same hour, CBS aired “Rudolph the Red-Nosed Reindeer,” which actually beat “The Voice” in the key 18-49 demographic. The CW finished fourth on the evening, topping Fox and the Spanish-language nets. It was a forgettable night for Fox, which tied for last place in the main demo and sat there on its own among total viewers. NBC was first in ratings with a 2.1 rating/7 share in the advertiser-coveted demographic and in total viewers with an average of 9.7 million, according to preliminary numbers. “The Voice” at 8 posted a 1.9/7 and 10.6 million viewers. At 9, “This Is Us” earned a 2.7/9 and that same rounded audience total. “Chicago Fire” at 10 put up a 1.7/6 and 8 million viewers. CBS was second in ratings with a 1.5/5 and in viewers with 8.5 million. The claymation special at 8 landed a 2.3/8 and 9.5 million viewers. Repeats followed. 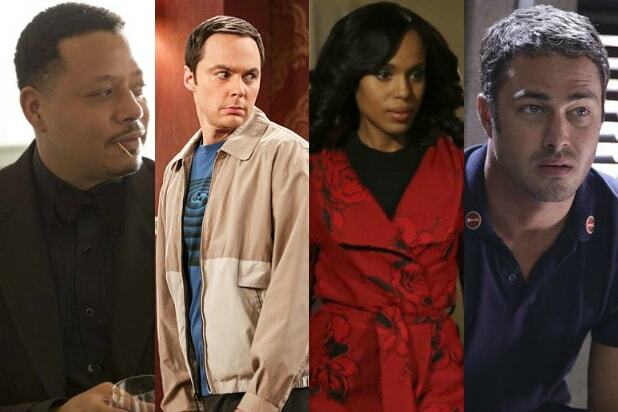 ABC was third in ratings with a 1.1/4 and in viewers with 4.1 million. “The Middle” at 8 had a 1.6/6 and 6.6 million viewers. At 8:30, “American Housewife” got a 1.4/5 and 5.6 million viewers. “Fresh Off the Boat” at 9 received a 1.2/4 and 4.2 million viewers. “The Real O’Neals” at 9:30 closed the sitcom block to a 1.0/3 and 3.3 million viewers. At 10, “Marvel’s Agents of SHIELD” managed a 0.8/3 and 2.5 million viewers. The CW was fourth in ratings with a 0.9/3 and in viewers with 2.6 million. “The Flash” at 8 zoomed to a 1.5/5 and 4.1 million viewers. “No Tomorrow” at 9 settled for a 0.4/1 and 1.1 million viewers. Telemundo was fifth in ratings with a 0.8/3 and sixth in viewers with 1.8 million. Univision and Fox tied for sixth in ratings, both with a 0.7/2. Univision was fifth in total viewers with 1.9 million, Fox was seventh with 1.7 million. Also Read: Can Dolly Parton's 'Coat of Many Colors' Sequel Warm As Many Viewers? For Fox, “Brooklyn Nine-Nine” at 8 had a 1.0/3 and 2.4 million viewers. At 8:30, “New Girl” got a 0.8/3 and 1.9 million viewers. “Scream Queens” at 9 received a 0.5/2 and 1.3 million viewers.